Dr. Wexler has been performing refractive surgery since 1991. He is one of the most experienced surgeons in the Midwest, having performed more than 60,000 LASIK and PRK procedures. He is a member of the Vision Group Holdings Medical Advisory Board and the TLC Clinical Advisory Group where he advises surgeons from around the country on LASIK and PRK surgery. 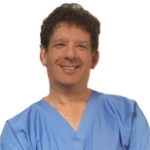 Dr. Wexler graduated from the University of Michigan Medical School in 1982. Following an internship at Henry Ford Hospital in Detroit, Dr. Wexler completed his residency training in Ophthalmology at the University of Wisconsin-Madison, where he served as Chief Resident of Ophthalmology in 1985. Dr. Wexler is a Clinical Professor of Ophthalmology at Washington University School of Medicine where his responsibilities include teaching LASIK surgery to ophthalmology residents and cornea fellows. Dr. Wexler is past president of the Missouri Ophthalmological Society. He is board certified by the American Board of Ophthalmology and a member of the American Society of Cataract and Refractive Surgery, the International Society of Refractive Surgery and the American Academy of Ophthalmology. In 1996, Dr. Wexler was named “Teacher of the Year” by the residents of the Department of Ophthalmology at Washington University School of Medicine. In 2002, he earned recognition as one of the top five LaserVision® surgeons in the United States (LaserVision is a division of TLC Vision Corporation). In June of 2016, he was given the Distinguished Service Award from Washington University Department of Ophthalmology and Visual Sciences in St. Louis in recognition of 30 years of teaching refractive surgery to their residents and fellows. He is also an oral examiner for the American Board of Ophthalmology. Dr. Wexler’s original research on refractive surgery has been selected for publication in several Ophthalmology journals, and he has presented several papers and courses on LASIK at national Ophthalmology meetings. He has also designed an instrument used in LASIK eye surgery. Dr. Wexler has received national recognition and is frequently sought after by medical professionals for their own vision correction and that of their families.